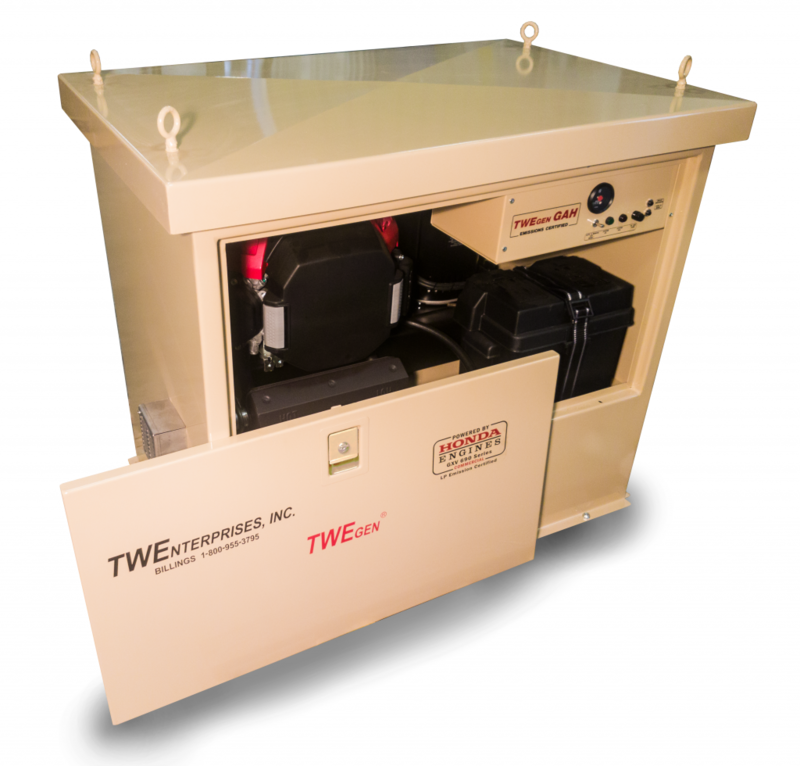 Engineered and developed by TW Enterprises, Inc. for the rugged application, the TWEgen® is designed for unique industrial applications. Each is powered by an industrial Honda engine and is MIL-SPEC rated, installed with a brushless, with triple-dipped windings, fully epoxy-encapsulated, BALDOR generator. This system’s home is where there is no power. 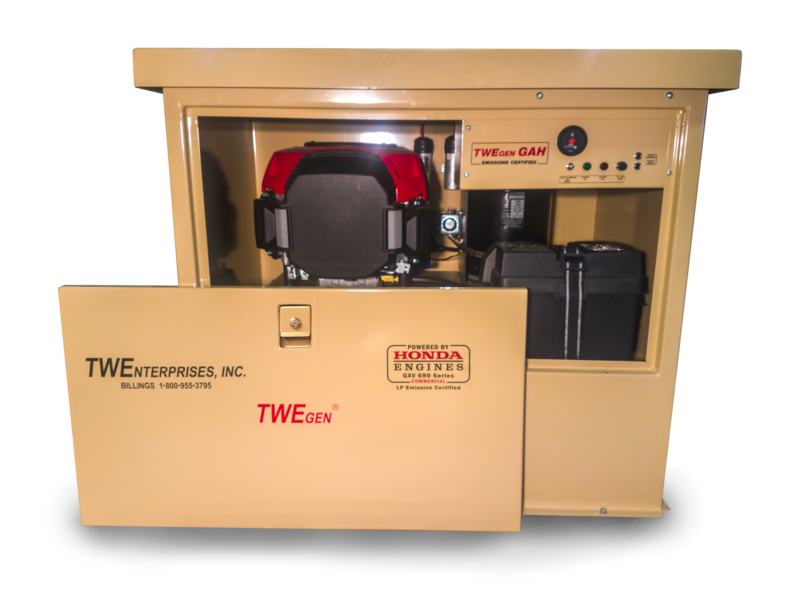 The TWE50GAH Remote Well-Site Generator will adequately start and run up to a 3 HP pump. The TWE80GAH will adequately start and run up to a 4 HP pump. 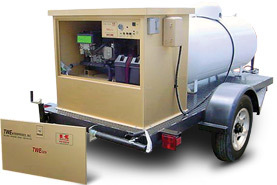 Shown with optional propane tank and trailer mount. The TWE80GAH-ES brings in the addition of an Electric Speed (ES) Controller that allows it to adequately start and run up to a 5 HP pump. The Electric Speed Controller model is now also available for Solar System Back-Up, Home or Remote Cabin use.